Fez – Ifrane – Azrou – Erfoud – Merzouga. I find in your hotel/Hotel and departure to Ifrane, the Moroccan Switzerland, with fully European style, remember that it was a French colony located in the Middle Atlas. One of the animals that lived in the area was the Atlas Lion, so it has become the emblem of the village and a stone in the center of the same statue is dedicated to him. We continue towards the lush forest of Azrou, full of huge Cedars where families of monkeys live in total freedom. 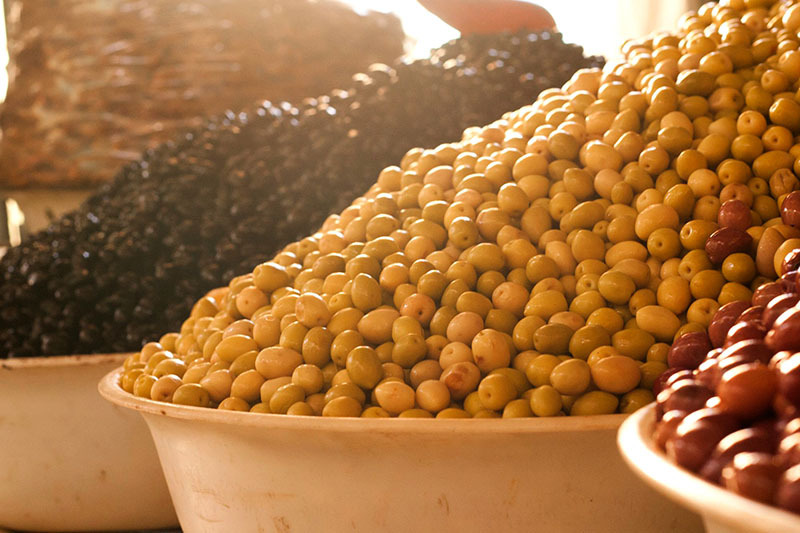 We continue crossing the Ziz gorges and the Valley of Ziz to Erfoud, where we can enjoy some delicious dates, every year the dates festival takes place in October. Erfoud also known for being the center of the area of fossils. 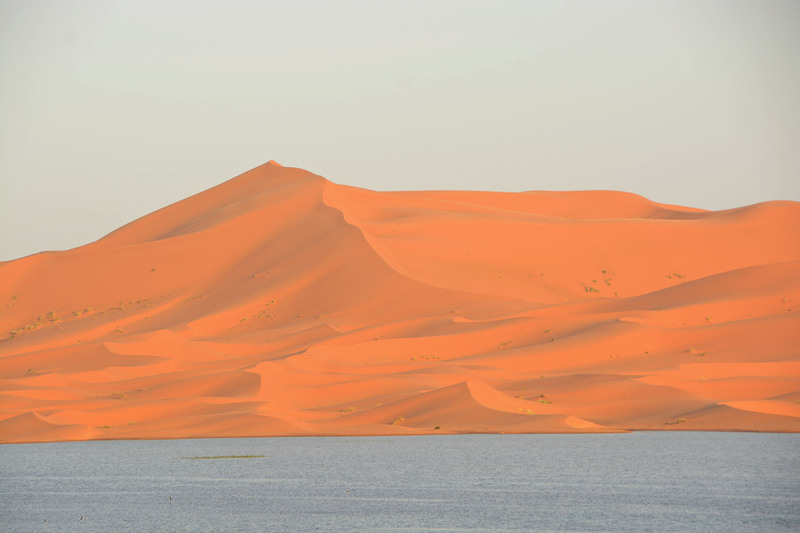 We take towards the majestic desert of Merzouga, where we expect the camels for delving into the dunes, enjoy a beautiful sunset among the dunes and take us to the camp of tents, where we will have dinner, enjoy the music of the nomadic drums and spend the night under a star-studded sky of stars. 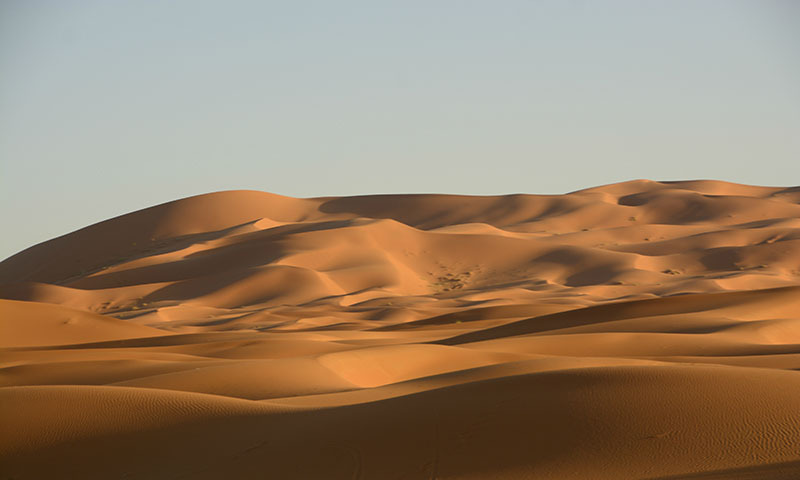 Merzouga – Rissani – Valley of Ziz – Middle Atlas – Fez. It is worth getting up early to enjoy a unique sunrise. We return with the camels to the hotel to have breakfast and take a shower. Visit Rissani. If you’re going to desert you can not fail to visit places like Rissani, serving as obligatory stop for caravans of camels which was heading towards South. He has one of the most important markets in the South of Morocco locals and nomad will Rissani to do their shopping and to negotiate with their products, what stands out is its cattle market. City of continuous hustle and bustle, where you can enter another era mixed with ir and come from the 4 x 4 visitors, cyclists and people moving. Almost anything that you seek, from meat, vegetables and fruits, delicious dates, clothes, turbans of infinite colors, can be found in your market and you atrapaŕan the aromas of a multitude of spices, soaps, perfumes and natural remedies for almost any health problem. If you want to know something real you can’t miss this visit, where more that a tourist feel like an adventurer of the Sahara. After the visit to Rissani, we are underway to return to Fez by the Middle Atlas. Pick up at the airport on arrival and also at the end of the route. 4x4 vehicle with air conditioning. Accommodation in a camp of tents. Lunch and drinks for the client's account. Entrance fee to monuments and gratuities.